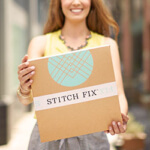 Hey, it’s us, Stitch Fix! Did you know that we are in the business of changing your closet and being there to support the exploration of your personal style? Did you know that we have over 3,000 Stylists who love picking out new items that they think you’ll love? Want to know more? Here are 5 ways we can change your closet this year. 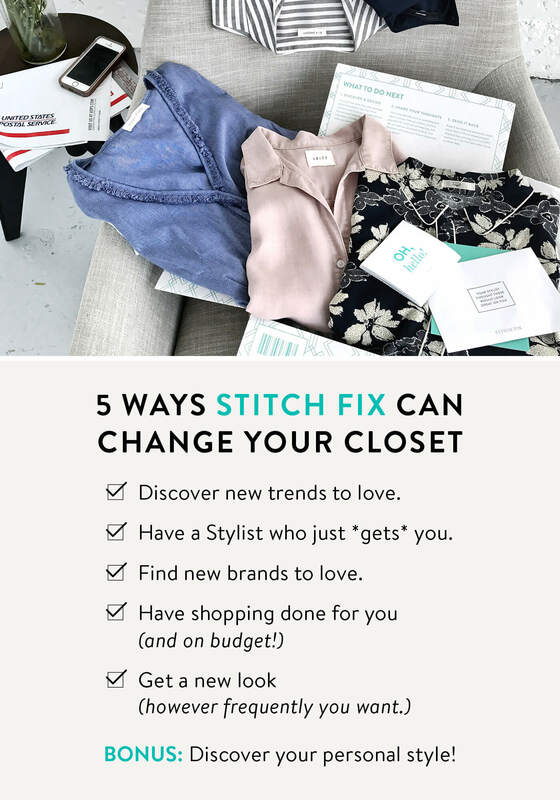 Keep reading to find out how Stitch Fix can change your closet! Our Stylists are on top of every single trend as soon as they land. So, what does that mean for you? As soon as you schedule a Fix and let your Stylist know you want the latest and greatest, they’ll be at your door before you see them around town. From your Style Profile to your Pinterest board, our Stylists are obsessed with the details. And, they use all of the information you share with us to get to know you better each time. So, tell us everything so we can get it right from your first Fix to your 100th. 3. Find your new favorite brand! Stitch Fix has hundreds of brands—some you know very well and some that are waiting for you to discover. And, we’re always adding more. Think: Kate Spade, Rebecca Minkoff, J Brand, Vince, and more. Just tell us what you want to see in your Fix or if you’d rather be surprised, and we’ll make it happen. Got a budget? We got you. You tell us how much you want to spend for the items in your Fix and we’ll find you new items to love that won’t break the bank. No, we’re not a subscription service. We’re a whenever you want, however you want type of service. Want a Fix once a season? Just tell us and we’ll send it. Want a Fix every few weeks? We can do that too! Bonus tip! With Stitch Fix you get to learn more about your own unique, personal style that makes you, well you! Want to learn more about our service? Find out how it works!